The Nevis Collection All Weather Wicker Chaise Lounge is the perfect chaise for around any pool or patio. 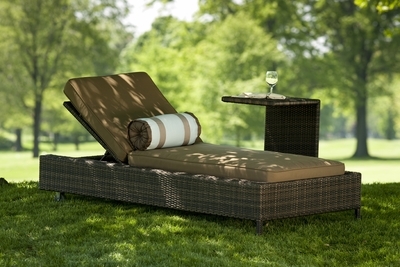 This chaise will give you the durability and comfort we require in an upscale piece of outdoor furniture. It is shown in the wicker color Viro Prussian Dark Bronze and the cushion color is Sunbrella fabric Canvas Cocoa cushion.